Send personalized images with a standard <img> tag. 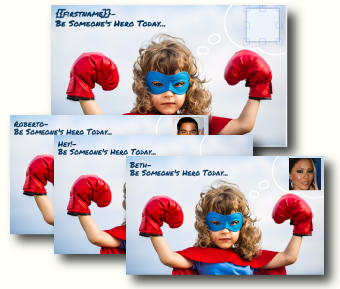 Add or change different graphics for each recipient. Change image content after messages have been sent. plus your data = personalized images, instantly. For a limited time, we're providing unlimited free use to qualified marketers. You get better campaign results, kudos from the boss, and an extra 9 weeks of vacation a year. ** We just ask for your feedback to make this better! Please fill in your info here, or give us a call (888-618-9088) to discuss. Thanks! We'll be in touch pronto with access information. We will use this information to (a) contact you with preview access, and (b) inform you of changes to the service. That's it. Create an image template for your email platform, and use the merge-field format you're accustomed to. 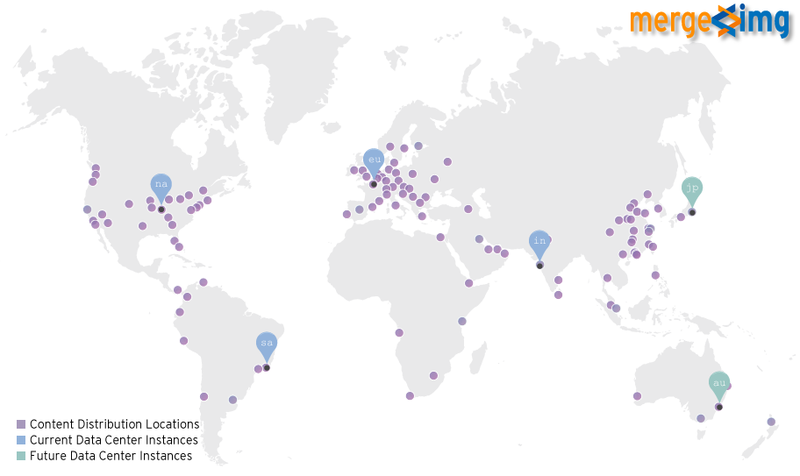 With CDN distribution at over 110 data centers, and image generation in 3 global data centers (+ 3 additional global locations coming this quarter), merged images are typically delivered faster than website-hosted graphics. Every unique merged image is encrypted and cached; inbound merge-field information is NOT saved, in order to protect your data. ** added vacation at your company's discretion, but we'll write a nice note for you.